A man was taken to hospital after a crash on the Fosse Way this morning. Two people were taken to hospital after a single vehicle collision in Hooe, the ambulance service has confirmed. 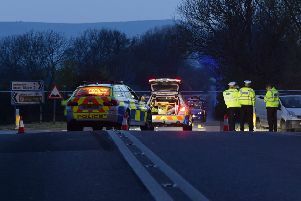 A spokesman for the South East Coast Ambulance Service (SECAmb) said the collision happened in Top Road, Hooe at approximately 10.15am on Wednesday (February 20). The spokesman said only one vehicle was involved.